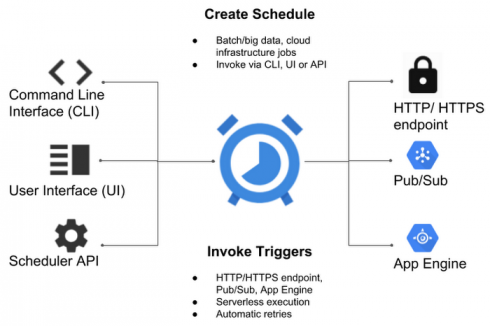 Google released the beta of Cloud Scheduler, a fully-managed, serverless job scheduler for the Google Cloud Platform today, designed to allow for the scheduling and execution of batch, big data and cloud infrastructure tasks from within any application. Ramachandran and the developers of Cloud Scheduler aim to bypass some of these difficulties with promises of at-least-once delivery of jobs to their targets, automation of retries and executions with fault-tolerance through deployment to different regions and a single management pane for scheduling and invoking operations via the GCP UI, CLI or API. Cloud Scheduler also supports the Unix cron scheduling format, Ramachandran wrote.